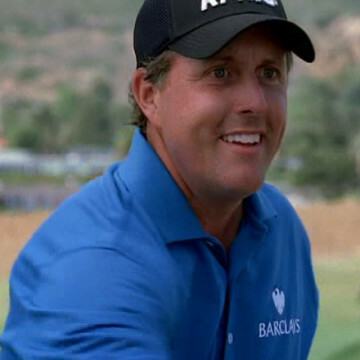 Phil Mickelson is a highly decorated professional golfer and appears in S05E06 of Entourage, Redomption. Ari learns that Phil has been training Alan Grey when he arrives to play a round of golf with the studio head. Ari and Alan agree to wager a Vincent Chase movie role on their performance, and though Phil’s training earns Alan the win, an unexpected turn of events lands Vince the part he’s after.